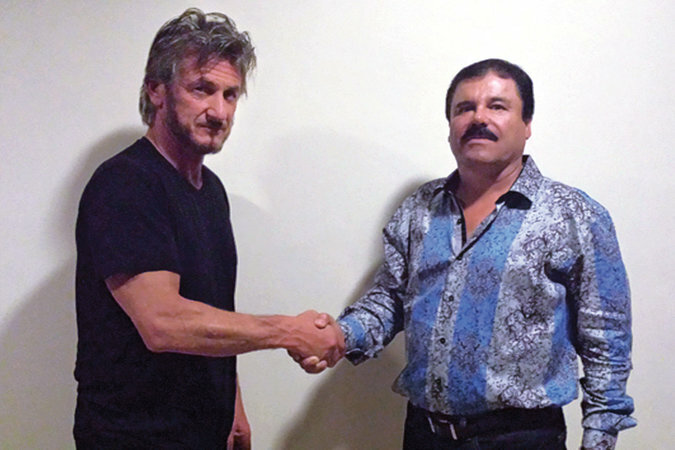 Joaquín Guzmán Loera, the Mexican drug lord known as El Chapo, was interviewed by actor Sean Penn before he was arrested, for Rolling Stone magazine. Editor's Note: As Rolling Stone went to press, El Chapo Guzmán was arrested in Los Mochis, Sinaloa. I take no pride in keeping secrets that may be perceived as protecting criminals, nor do I have any gloating arrogance at posing for selfies with unknowing security men. But I'm in my rhythm. Everything I say to everyone must be true. As true as it is compartmentalized. The trust that El Chapo had extended to us was not to be fucked with. This will be the first interview El Chapo had ever granted outside an interrogation room, leaving me no precedent by which to measure the hazards. The seven hours El Chapo spent with Sean Penn, and the follow-up interviews by phone and video — which began in October while he was on the run — marked another surreal turn in his long-running effort to evade the Mexican and American authorities. El Chapo was one of the world’s most wanted fugitives, who had twice escaped jail, was captured in his home state of Sinaloa in northwest Mexico on Friday after a gun battle with the authorities.